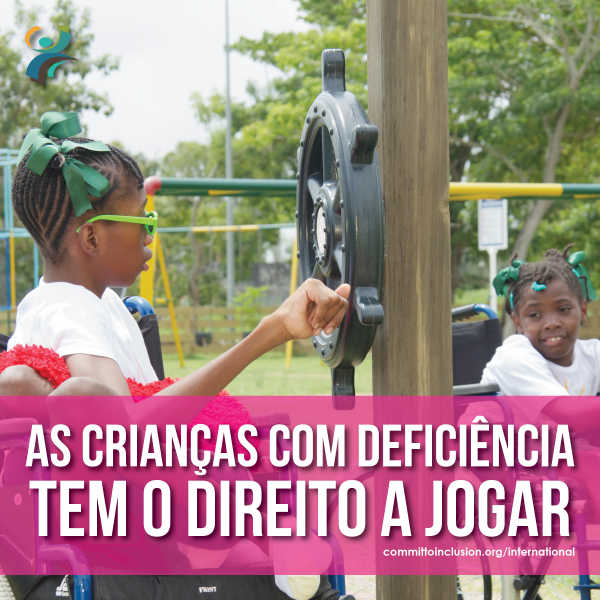 Physical activity through organized and community sport works to improve the inclusion and well-being of persons with disabilities in two ways — by changing what communities think and feel about persons with disabilities and by changing what persons with disabilities think and feel about themselves. 1.Share the Key Messages & Graphics. 2. Take a photo, video, or talk about your Commitment on social media using the hashtag. 3. 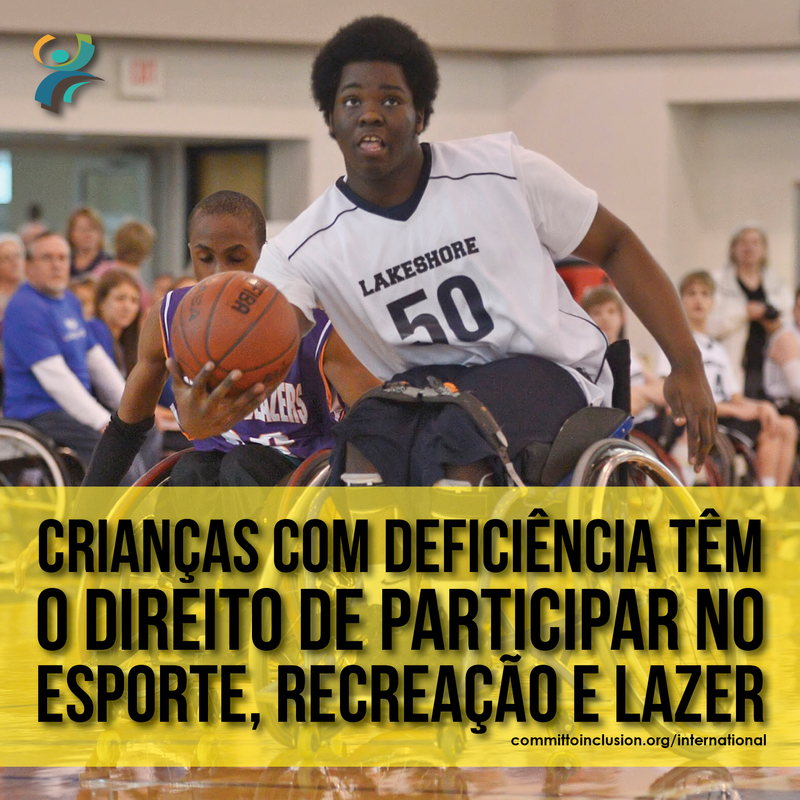 Encourage others to Join the Commit to Inclusion (International) campaign to make a difference globally! Physical activity maximizes growth, development, health and performance across the lifecourse – physically, intellectually, emotionally and socially. Children with disabilities have the right to play with equitable and safe access to sport, physical education and recreation opportunities, services, resources. Universal design of sports, fitness and playground equipment and facilities breaks down barriers and stigmas, fostering inclusive communities that contribute to sustainable development, health and well-being for all. 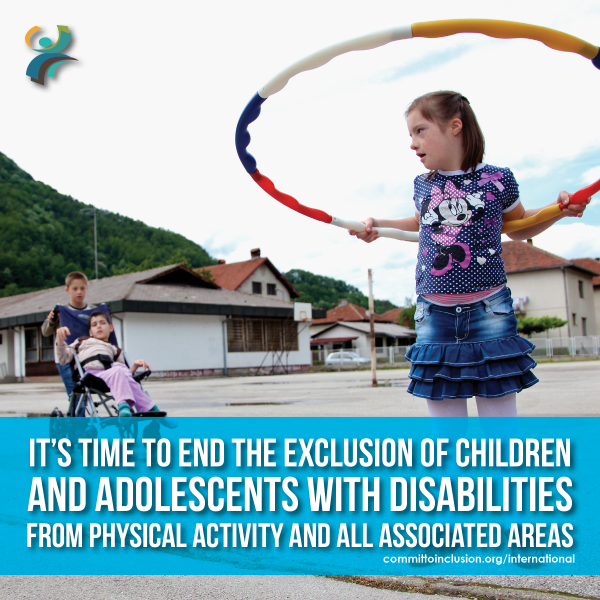 Quality physical education that can be adapted for children with diverse disabilities is essential to developing movement and learning skills that build agility, flexibility, coordination, muscle strength, self-control, cardiovascular fitness and endurance, reducing the co-morbidity of NCDs and obesity. Inclusive physical activity, sport and recreation helps children with disabilities reduce dependence and build the skills, self-confidence and self-esteem needed to thrive and flourish. 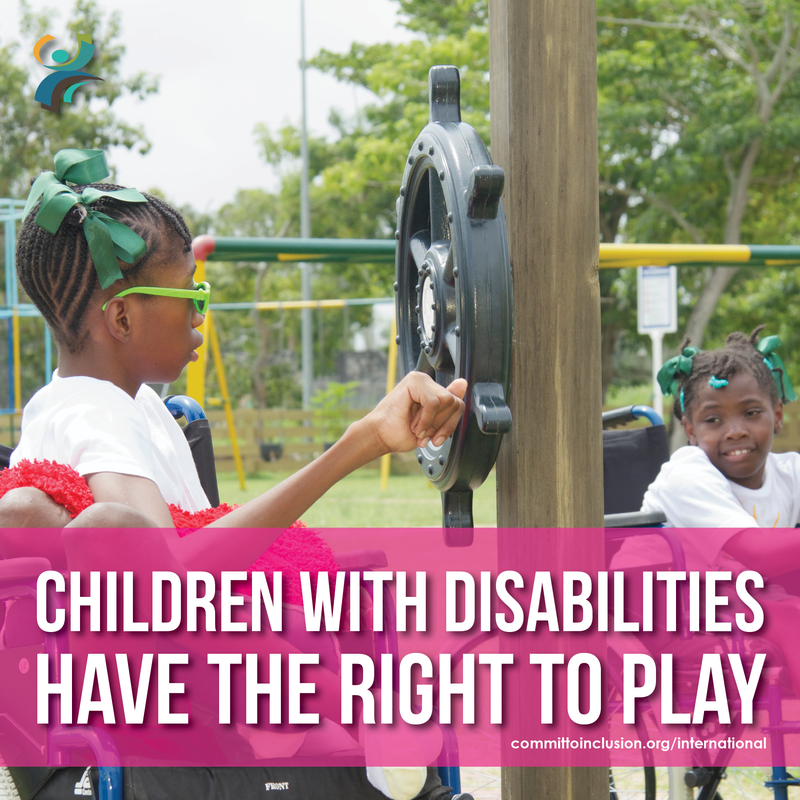 Children with disabilities have the right to play. 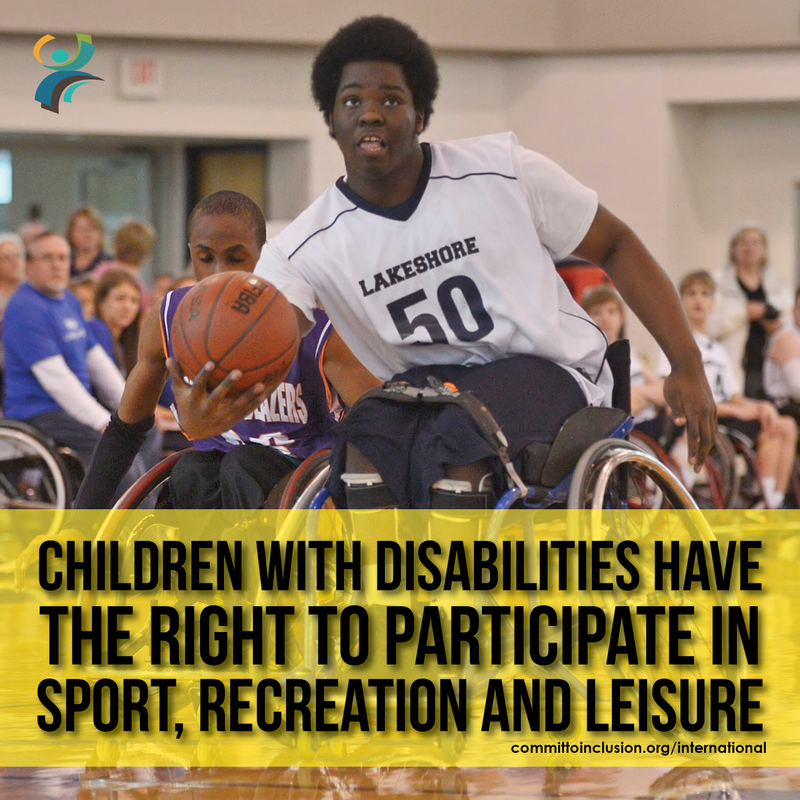 Children with disabilities have the right to participate in sport, recreation and leisure. It’s time to end the exclusion of children and adolescents with disabilities from physical activity and all associated areas. 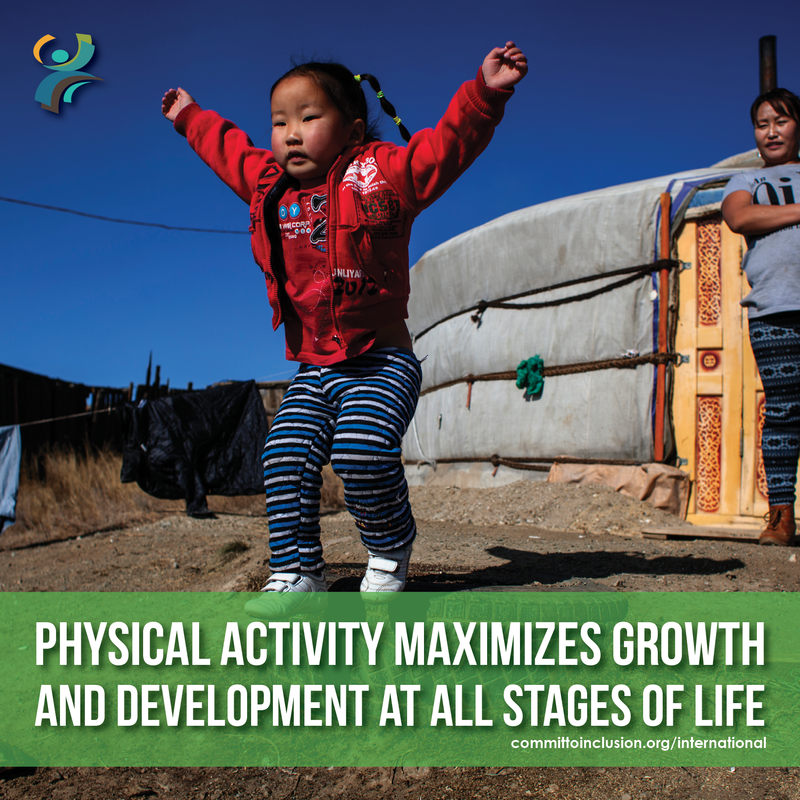 Physical activity maximizes growth and development at all stages of life. Los niños y niñas con discapacidad tienen derecho a jugar. 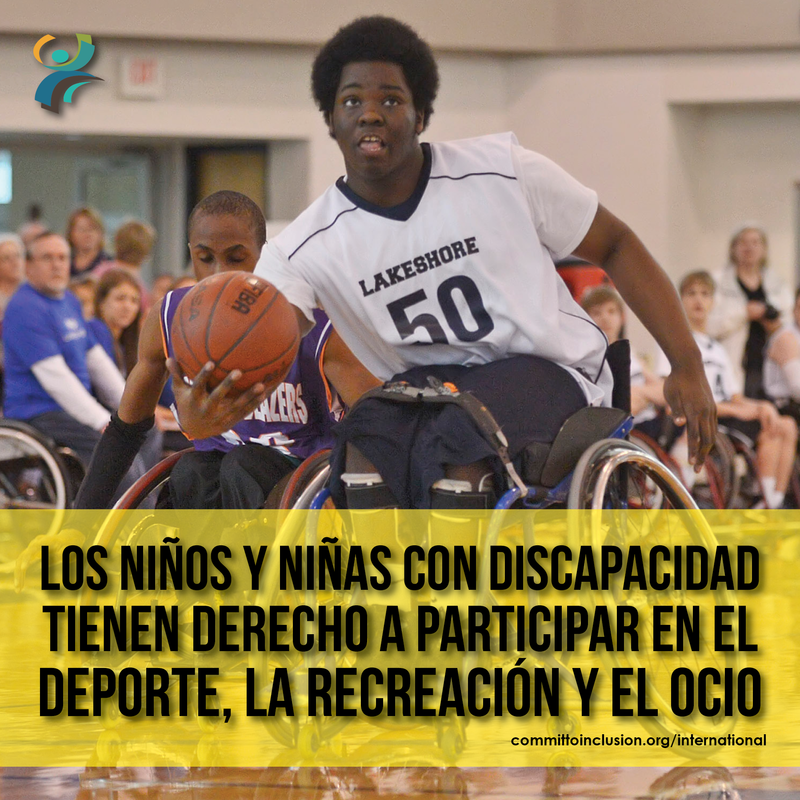 Los niños y niñas con discapacidad tienen derecho a participar en el deporte, la recreación y el ocio. Es hora de poner fin a la exclusión de los niños y niñas y adolescentes con discapacidad de la actividad física y todas las actividades asociadas. La actividad física maximiza el crecimiento y el desarrollo en todas las etapas de la vida. As crianças com deficiência tem o direito a jogar. Crianças com deficiência têm o direito de participar no esporte, recreação e lazer. É hora de acabar com a exclusão de crianças e adolescentes com deficiência de atividade física e todas as atividades associadas. A atividade física maximiza o crescimento e desenvolvimento em todas as fases da vida. Guyana, February 2014. Students from the Harold B Davis Special School at Ptolemy Reid Centre play in the Georgetown Play Park. On 25 May 2013 in Serbia, Sandra, 8, who has Down Syndrome, plays with a ball, at a UNICEF-supported centre that provides community-based services for children with disabilities and their families, in the town of Ivanjica. Despite growth in the availability of such services, access remains limited. 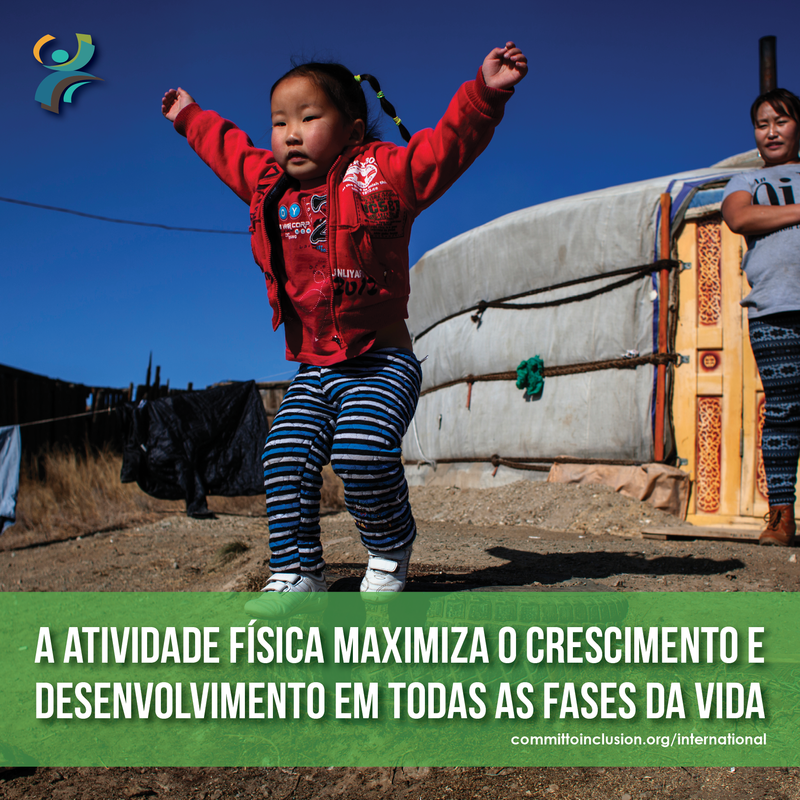 New social policy, introduced in 2011, provides a comprehensive framework for the provision of community-based services and introduced significant changes in the way they are licensed, provided, monitored and financed. T Nandin-Erdene, 3, jumps from a partially buried tyre outside the entrance to her family’s ‘ger’ (a traditional, mobile home) in Songino Khairkhan ‘Düüreg’ (district) in Ulaanbaatar, the capital. Her mother, S. Battsetseg, stands nearby holding T Nandin-Erden’s 16-month-old brother, T. Munkh-Erdene.